Interior design trends are our stylist’s obsession. Design conscious brands are keen to take advantage of our in-house service to create visual content which builds upon their existing brand identity. As a visual content agency, Set Visions’ trend direction, alongside client brand guidelines, is key to producing imaginative photography that satisfies both our client and creative teams. Result: three distinct looks showcasing the different ranges giving exceptional identity to each product. Capture, our photography studio, were selected to produce editorial images to promote Frontline’s product launches, supplying content for brochure and website. Frontline took advantage of the multiple services Set Visions offer, keeping their hand in CGI whilst commissioning the Capture team for their latest project. Our set designers planned the room sets to be flexible, to accommodate shots of multiple variants of shower screens, furniture and baths at various angles. Cost saving strategies are at the forefront of our production ethos, ensuring high quality photography is also value for money. Supporting detail shots help to build customer confidence in the product and also highlight the quality and finish. To discuss how our Captuture team can help develop your band identity and product photography contact the team or visit capture.setvisions.co.uk. 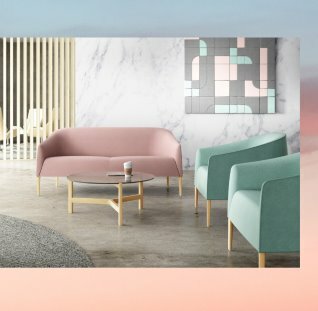 Long gone the days of pink for girls and blue for boys, shades of dusk pink are hotter than ever, seen in both commercial and residential interiors everywhere. It’s a versatile tone to compliment other colours beautifully making it a great colour to work with. 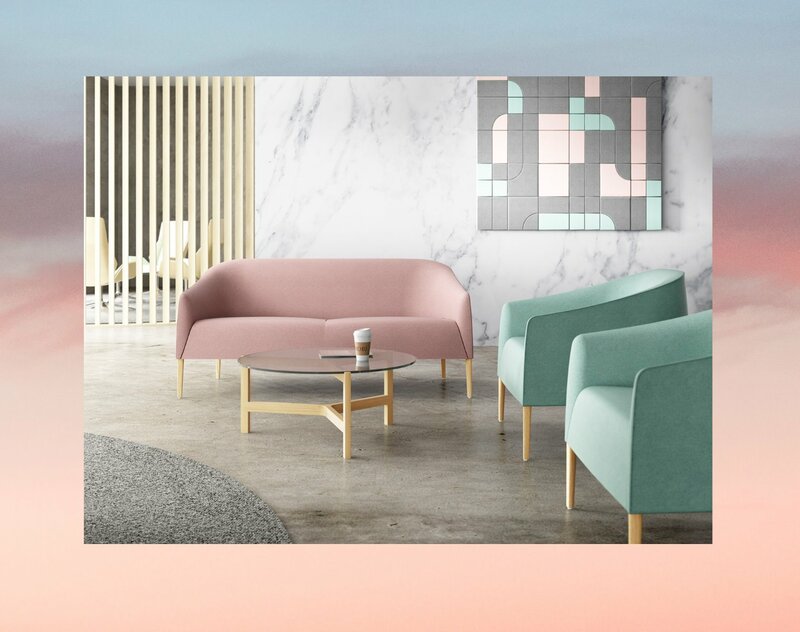 We’ve collated some of our latest work where shades of dusk pink have brought the interiors to life. 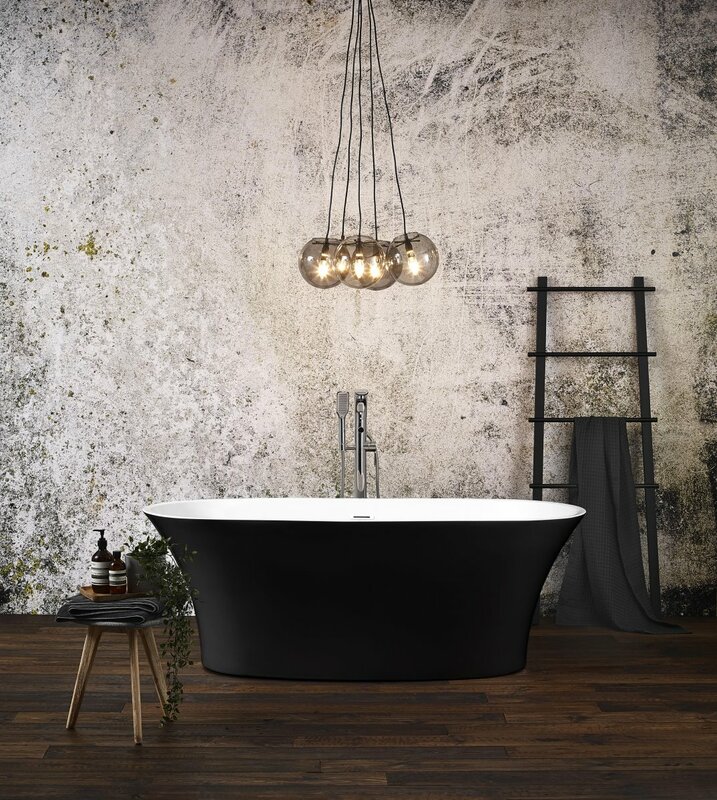 On this conceptual product shot we used flashes of dusk pink alongside coral to really make the free-standing baths stand out. Not only does the colour make this shot look great it also gives inspiration to the consumer for their own bathroom colour palette. Dull office spaces no more. Shades of grey, pink and mauve give this work space a contemporary edge. These colours compliment the soft edges and fabrics used making the space inviting yet maintaining a professional feel. Statement moody dusk pink tiles are the key design feature in this hotel suite turning a simple dividing wall into a design feature. As well as having aesthetic properties this design also gives an identity to the hotel making it unique. With the Scandi trend still going strong seeing dusk pink sits hand in hand with this trend both creating a soft, calming environment. White painted walls, light oak flooring and furniture, hints of grey all finished off by subtle tones of the soft pink elements. Are you a passionate Photography Studio Manager looking for the next challenge in your career? Set Visions photography studio Capture, boast a fantastic client base, great team culture and offers a competitive salary of up to £30k for the Studio Manager position. If you feel that you have the skills to become our Photography Studio Manager and are looking to further enhance and develop your creative career in a managerial position then please email your CV with portfolio to info@setvisions.co.uk. Due to the volume of applications we will only contact successful applicants. 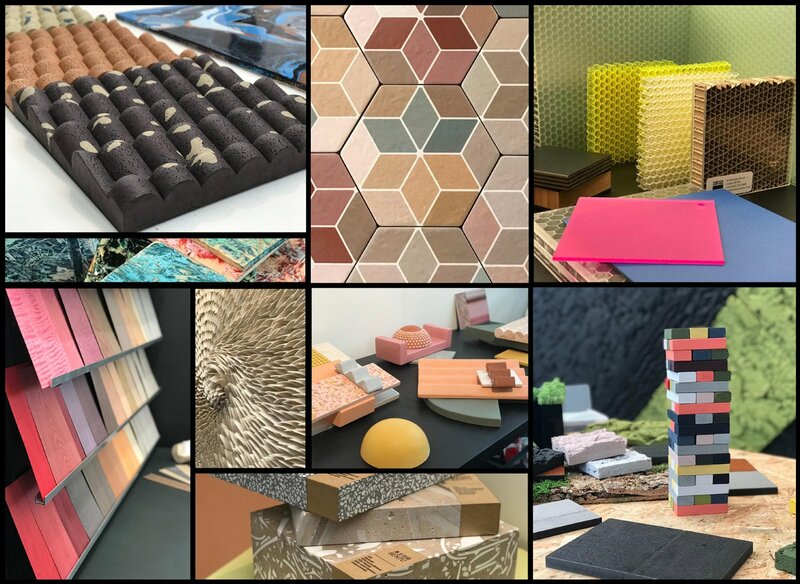 2019 bounds in with a full force of design shows – and our eager creative eyes are busily absorbing the highlights and trend forecasting insights coming from shows such as; IMM Cologne, Stockholm Design Week, Maison & Object. All helping fuel our passion to keep our images up to date, on trend and advising our clients on what’s hot for the year ahead in the world of design. Nina, our Head of Creative, also attends key shows such as the Surface Design Show in London. This enables us to create engaging, trend led images and video content for our clients and also strengthens our consultation services where Nina is able to advise and direct your brand’s visual identity. With plenty of perceptive lectures about design innovations, 2020 trend insights and the latest colours and textures to work with. Some amazing emerging techniques, brands and young ingenious designers creating cool textures from recyclable/recycled materials - something that’s in the forefront of design for our future: Sustainability and Style. 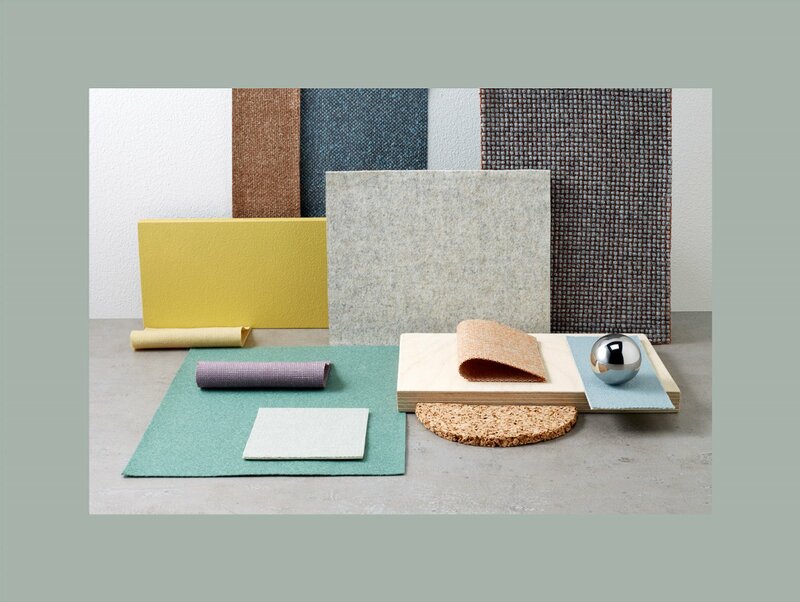 Here’s a few of Nina’s favourite materials and colour combinations from the show. Very exciting to see how we will incorporate these in to future interior design projects! Will this be the year you ditch the grey daze you are in? Finally inject some colour and pattern in to your home? Freshen up for the springtime ahead with some of our top colour injections and inspirations for every room in your home. With fabric and paint choices, to colour blocking patterns on walls, have a little fun with these muted pastel hues, then contrast with a little zingy number! Colour pop perfection with soft furnishings as the central colour injection. Try using bold solid shades on soft furnishings, not only with your sofas and chairs but why not try more colour with your blinds or curtains? We want to see more playful tones in the home in unsuspecting places. Kitchens tend to be play it safe spaces, but why not paint your kitchen walls in fun family friendly shades to add a little character? 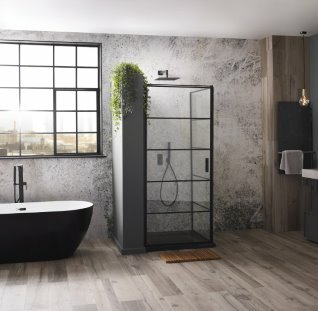 Bathroom designs became mundane and generic over the last year. However, we have seen a strong Memphis design resurgence with bold pattern walls and prints coming back through across design fields. Try a tonal selection of colours if the thought of bold colour pops is too much. Try working lighter and darker shades together with subtle more sleek colour contrasts such as this pink sofa. Pattern also adds that little extra umph on the blinds! Creating your own original marketing content is key to establishing brand identity, increasing your Google ranking and more importantly, keeping ahead of your competitors. A recent project with a leading mattress designer saw our client take advantage of our Capture studio, banking multiple studio shots that can be used across social media, marketing and print ranging from room set, product shots and relaxed, lifestyle photography. Our in-house design team designed a set to fit with their brand identity – contemporary and unique. The Scandi trend works perfectly for the crisp imagery, with the art direction being key to the photography style. 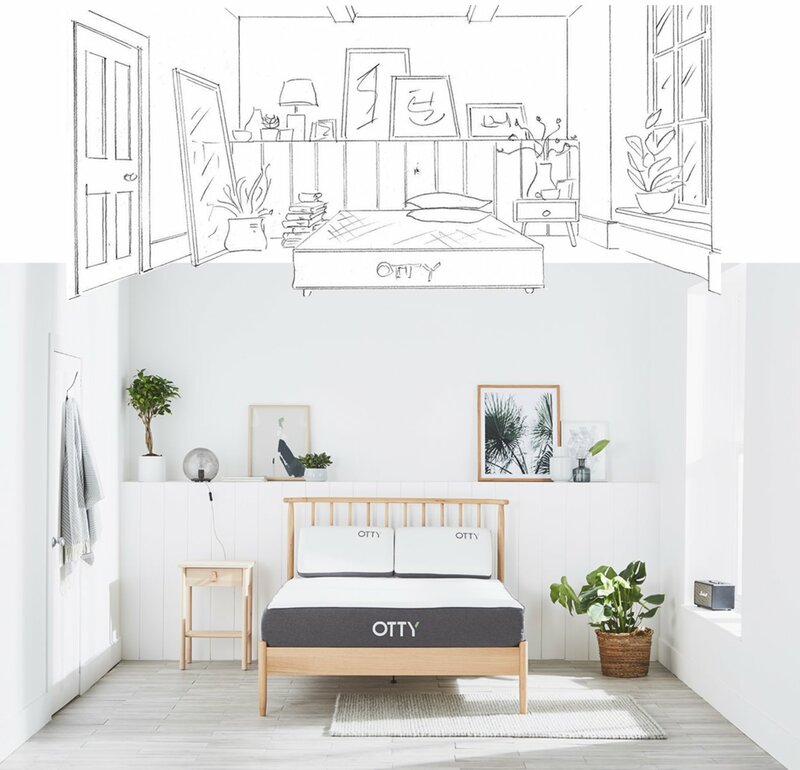 We’ve been working with Otty for several years now, helping to develop their signature brand look as their product offerings and market share increases. The latest portfolio release is a result of a great cost-effective service - one room set that can be utilised for different shots - each with their own social media message. Long gone are the days of slap dash phone pictures, as investing in imagery is an investment in your brand. To keep costs down our post production team retouched key shots whilst our client ‘banked’ the full catalogue of shots ready to be used at a later date. Feature walls are back. Gone are the days of eye watering wall paper as 2018 sees textures making a key design statement, especially in the kitchen. The technical development of materials means marbles are more cost effective and laminates are more durable to extend the variety of offerings in the market. Our advice: expand your comfort zone, be experimental and be unique! Below, we used the contrasting marble worktop as an extended splash back which returns giving a high-level shelf. This creates a strong seamless look allowing the natural marbling to be the design statement. What’s your brickwork like? Sometimes the best design pieces are the ones you already have. Here we used exposed brick accompanied by contemporary textured wall paper. Create contrast! Wood panelling has consistently stood the test of time when it comes to kitchen wall finishes. 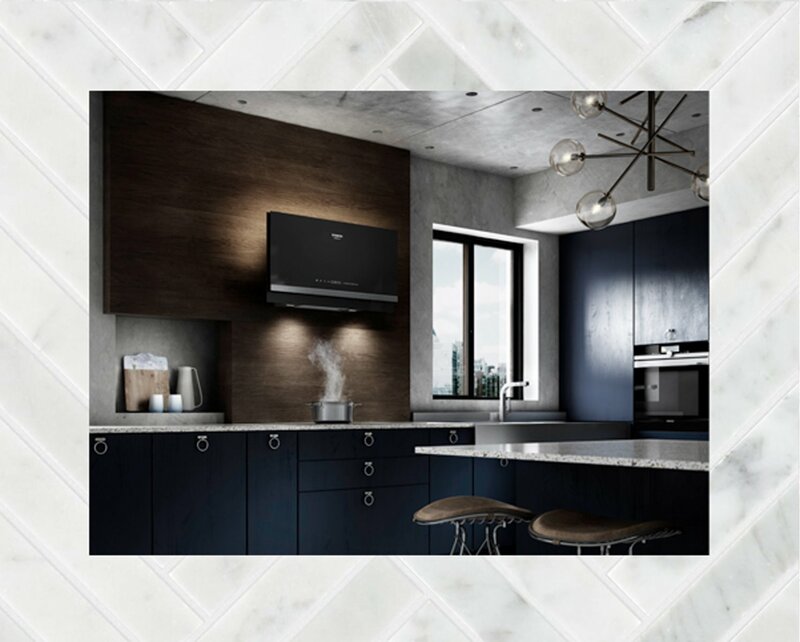 Here, tongue and groove panelling painted a rich, deep blue compliments the kitchen, yet still stands out as a feature wall. If budget is a constraint or perhaps you want something a little more subtle, tiles are a tremendous way to create a feature wall. For a contemporary touch have a play with the layout. Here we ran the tiles up to the wall cabinetry in a 45 degree herringbone pattern. The Set Visions creative team have been busy joining forces, producing Photography and CGI imagery for our global client which is bespoke, hand crafted and truly unique. Our multi-skilled team’s creative vision translates across both specialist mediums ensuring our CGI and Photography images are perfectly in parallel and on form. By using both disciplines we delivered the project within budget without compromising quality. 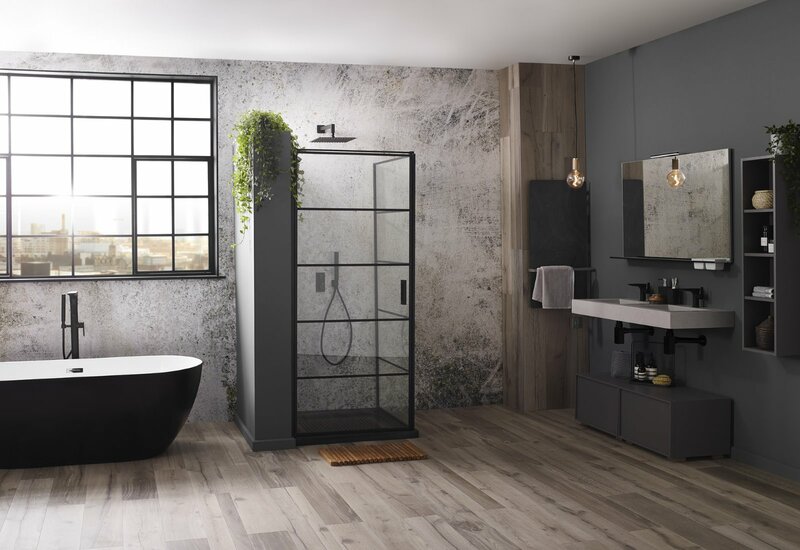 Lincrusta recently approached the team with a fantastic challenge to create editorial content that relies on our Photography studio’s realism and attention to detail whilst exploiting CGI’s ability to render photorealistic architecture and location. By using the same product in both studios we’ve created imaginative product images that do just that! The styling direction was overseen by our Head of Creative, with our Photography Studio manager keeping a keen eye on the CGI output. Each deeply embossed paper design is printed blank and applied to the walls ready for the hand painted finish, meaning every fitting is truly bespoke. A great advantage of working with CGI means our teams can re-use 3D assets to easily create alternative images. Below is an example of using the previously created Tropical Leaf paper and combining it with the Trellis, for a coastal take on the designs. Our creative team delivered a set of images that are perfect for brochure, POS and social media. 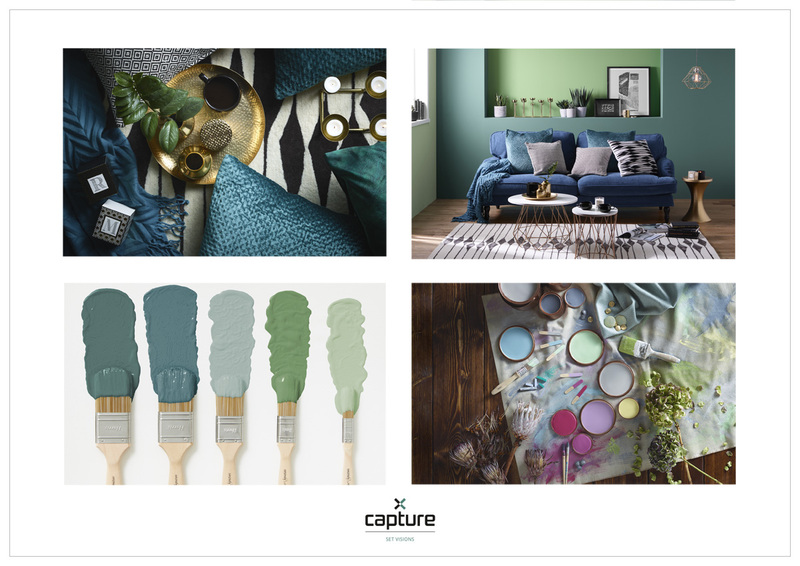 To see more of our trend based portfolio take a look at our Instagram, or contact us on 01274 6100 to ask how our creative CG and photographic studios can help. Motion, our video department has grown rapidly in the past year and we’re delighted to welcome Dan to the Set Visions team. With creative background in art direction and project management we know Dan will be a perfect fit as our new Senior Video Producer. The increase in demand for video from our clients illustrates the booming competitive market. Video is a fantastic tool to upsell the hidden benefits of your product, increase Google rankings and easily reach new audiences through social media. 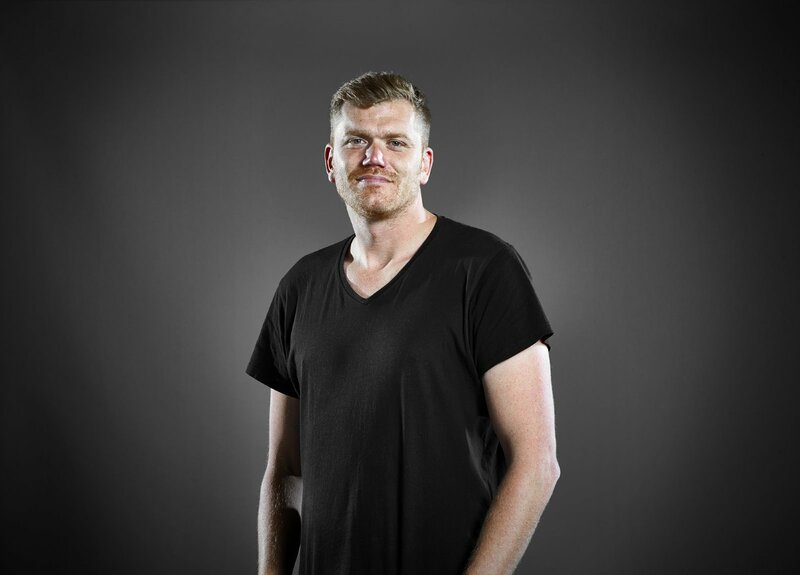 Dan’s background in commercial video production, location shooting, animation, motion graphics, editing and along with a wealth of technical experience, strengthens our Motion department’s offering. Dan’s already made himself integral to the production team, overseeing a project with over 200 edits, he’s certainly not phased! We’d like to wish Dan good luck in the role and hope you enjoy meeting all our fantastic clients. To see a selection of our Motion portfolio check out our Vimeo site covering location work, CGI animation and studio filming or contact the sales team on 01274 610600 for an informal chat to discuss how our Motion team can help grown your business. This look is all about creating a calm space with a modern take on a classic styling. Mix up that classic style by updating furniture to modern mango woods. Soft and tonal blues are still very much on trend. 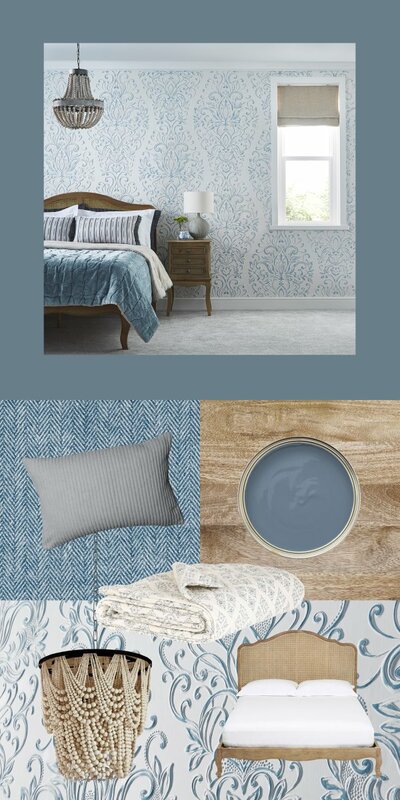 Hints of denim tones in fabrics with chalky blues on cushions are ways to pull a winning array together - layer them up for a relaxing luxurious feel. 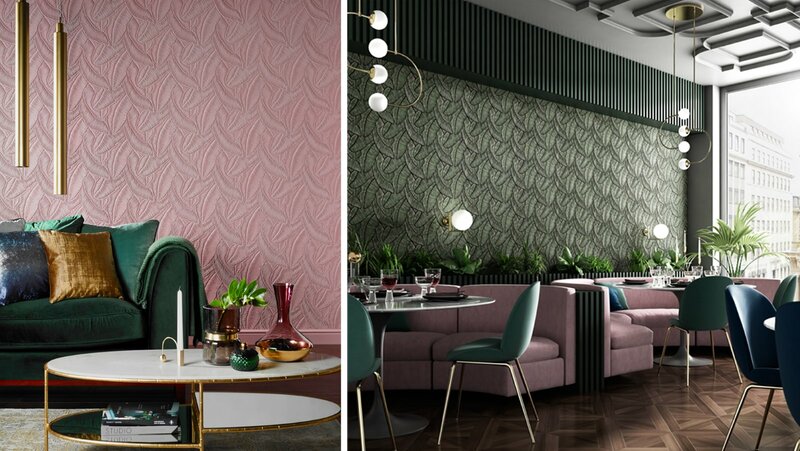 We’re seeing a resurgence in pattern wallpaper and wallcoverings, in a calm colour tones. • Large print pattern brings drama of a period feature. • Soft light blues and whites. • Modern mango woods classic shaped furniture. • Bleached wood chandelier on trend. All images appearing on the Set Visions Capture web site are the property of Set Visions and are protected under International Copyright laws.